Herb Foster's new book is Ghetto to Ghetto: Yiddish & Jive in Everyday Life. Island author and linguist Herbert Foster has never seen Shrek, the 2001 animated film, but he said he’s more interested in the Yiddish origin of the title than the green ogre himself. Mr. Foster said he hopes that changes when readers pick up his new book Ghetto to Ghetto: Yiddish & Jive in Everyday Life. The book provides a history of the two slang languages along with an extensive dictionary of Yiddish and Jive terms that permeate conversations today, such as funky, gig, shades and yes, shrek. 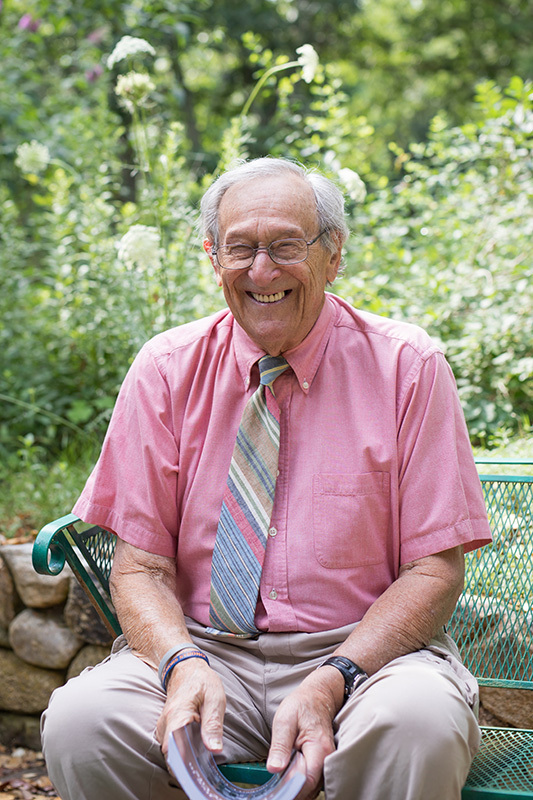 A native of Edgartown now, Mr. Foster, 90, is a lifelong educator and professor emeritus of the State University of New York School of Education. He has written extensively about Yiddish and Jive since 1974 when he published his first book on the subject: Ribbin’, Jivin’, and Playin’ the Dozens: The Persistent Dilemma in Our Schools. Mr. Foster grew up in Brooklyn and his Jewish heritage cultivated his lifelong interest in Yiddish. He said his introduction to Jive started when he was teaching junior-high students in Harlem. He started digging into the history of the Jive and realized it had a similar place in Black culture as Yiddish does in Jewish culture. Both, he said, have introduced new terms and phrases into the English lexicon. “Every group that came to American contributed their words to American English, but Jews and Blacks have contributed more words than any other groups,” he said. “This is like a history book. No one has done this before. You have Yiddish books and Jive books, but no one ever put them together as two people who have suffered similar things, but are still alive and doing things. Now, he said, he sees and hears Yiddish and Jive terms used everywhere, including the Vineyard. He said recently the Chilmark Tavern put out a print advertisement reading “Obama Schlepped Here.” Schlepping, according to Mr. Foster, is comparable to bumming off someone’s couch. 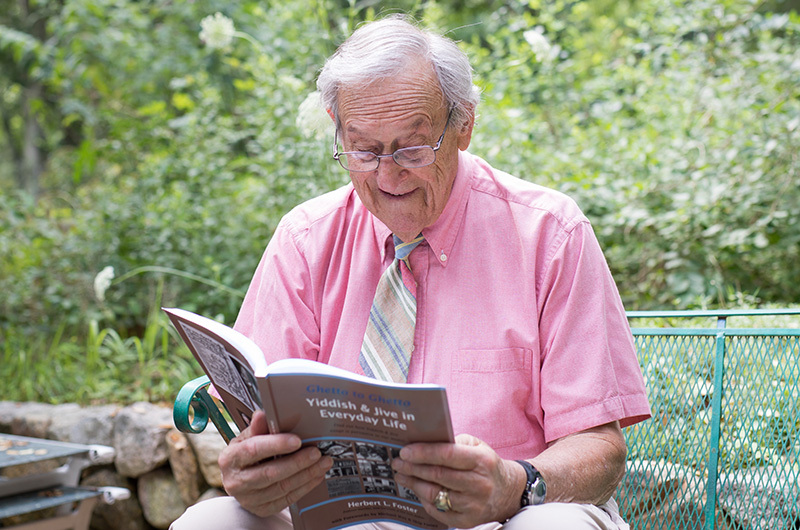 Though he has studied the languages for decades, Mr. Foster said that there were a few Yiddish and Jive words he discovered while researching Ghetto to Ghetto that surprised even him. Ghetto to Ghetto also includes a laundry list of celebrities, and a few Islanders, with a Yiddish or Jive-speaking backgrounds. Mr. Foster said that one of them, former United States Secretary of State Colin Powell, once sent him a letter explaining why he can speak some Yiddish. “I worked part time at a Jewish-owned toy store for several years as a teenager,” Colin Powell wrote in the letter. 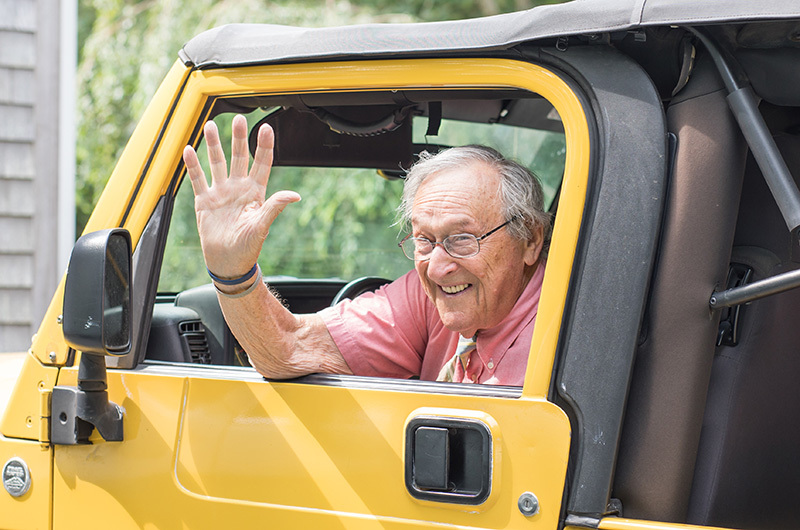 Although he just completed the book, Mr. Foster isn’t letting old age slow down his pen. He’s currently working on two more projects with Vineyard angles. One is a travel book called Schlepping Around Martha’s Vineyard, and the other will provide background details on all of the historical plaques placed around the Island. Mr. Foster will discuss Ghetto to Ghetto and have copies on-hand for purchase at the Edgartown Library on Aug. 11 from 5 to 7 p.m. The book is also available at Bunch of Grapes Bookstore in Vineyard Haven. Mr. Foster said there’s a lesson for everyone in the book, no matter what race or language background. He emphasized the importance of understanding the history of terms used today that were brought about through Jewish and African-American culture. For those still ribbin’ and jivin’, he said the book will remind them to never stop. “Hopefully they’ll chuckle over some of the familiar things or get emotional from fond memories for those who are long gone,” he said.